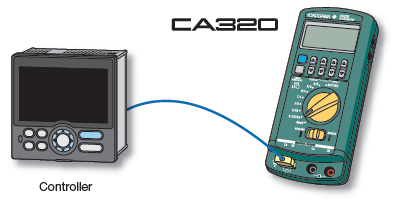 The CA300 Series is a high accuracy source and measure portable handheld calibrator used to inspect and maintain the accuracy of control devices such as temperature controllers, temperature transmitters, temperature sensors and other process devices which are used in process plants, industry machinery, and manufacturing. 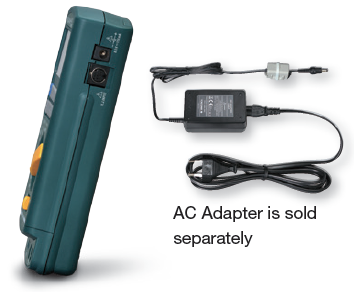 Available in 3 models, the CA310, CA320, and CA330 provide an ergonomic and friendly user-interface making it easy to use. 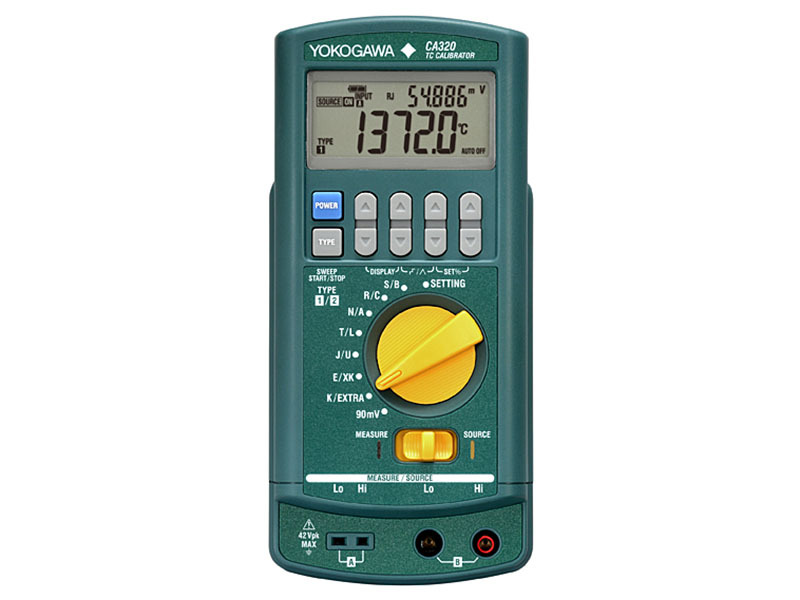 The sub display additionally shows span%, source value of voltage or resistance, while the main display shows the setting value. Sources by 25% step manually from 0% to 100% of span. 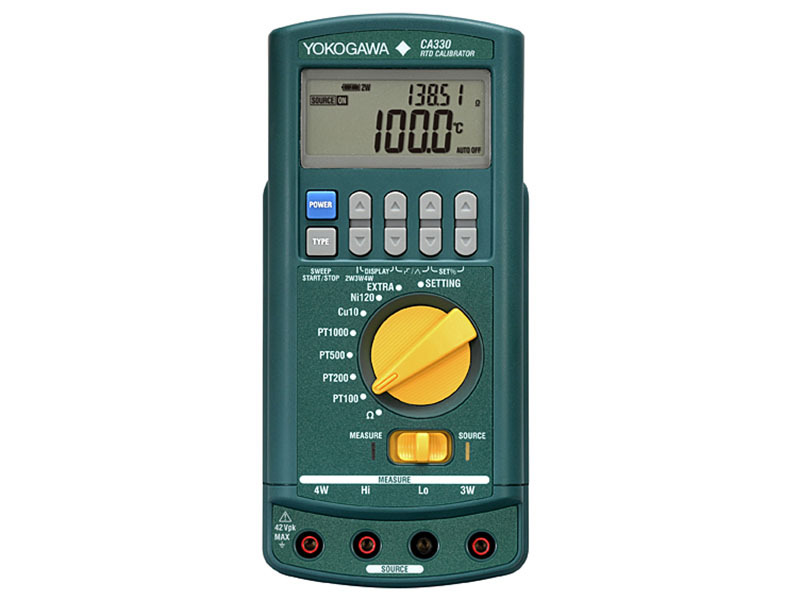 Sources continuously from 0% to 100% and is capable to check meter and make linearity tests. Sweep time can be selected by 15/30/45/60 seconds. Switches sources 0%↔100% by one touch. With this function, it makes it simple to make adjustment and to inspect the open and close operation of valves. 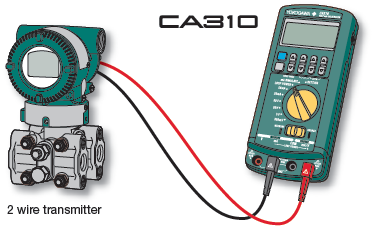 CA310 is capable to execute a loop check by simulating a transmitter, sinking the current signal from the external source (distributor). It achieves the high accuracy 0.015% of setting to source 4-20mA. 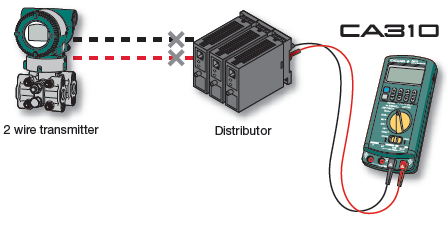 DC mA signals can be measured by supplying power to the transmitter from a 24 V DC power supply. 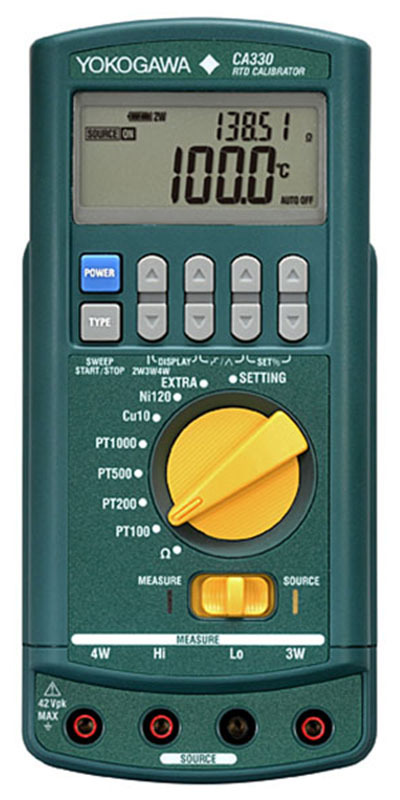 DC mA measurement and zero-point check can be performed with an accuracy of 0.015% of reading. 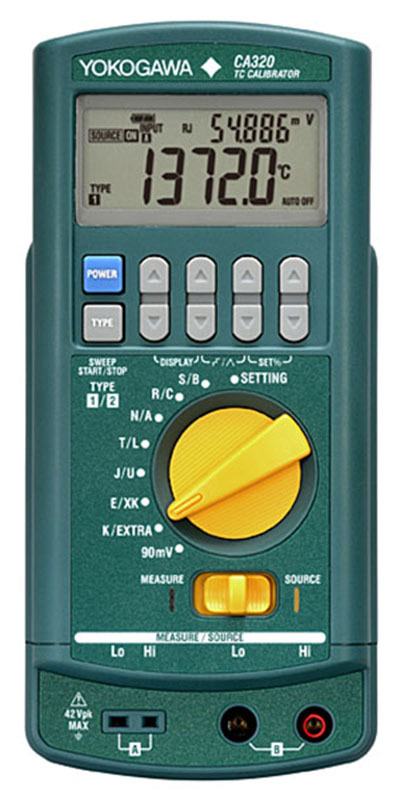 A 250-ohm resistor for HART and BRAIN communication is included in this calibrator so there is no need to attach an external resistor when connecting to a handy terminal. CA320 corresponds to 16 types of TC for sourcing. 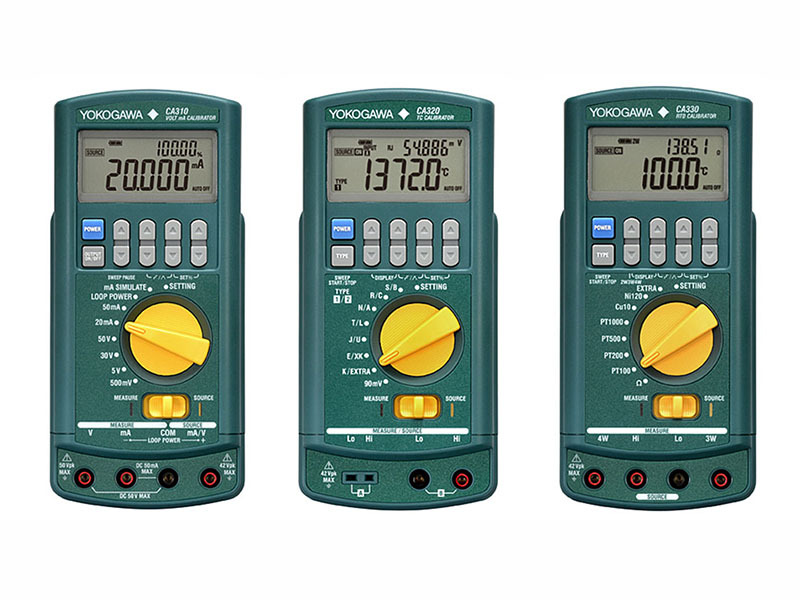 It achieves the high basic accuracy of 0.5°C (typical of type K), three times better than the previous model which enables it to operate a highly reliable test. Additionally, the difference of temperature between objects can be compensated, by using external RJ sensor or a compensating lead wire. 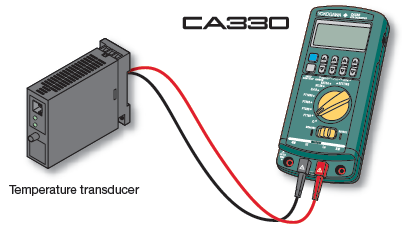 CA320 can measure the output of TC like a thermometer. It achieves the basic accuracy of 0.5°C (typical of type K), three times better than the previous model and is for multiple use for process temperature measuring by corresponding to 16 types of TC. CA330 corresponds to 14 types of RTD for sourcing. 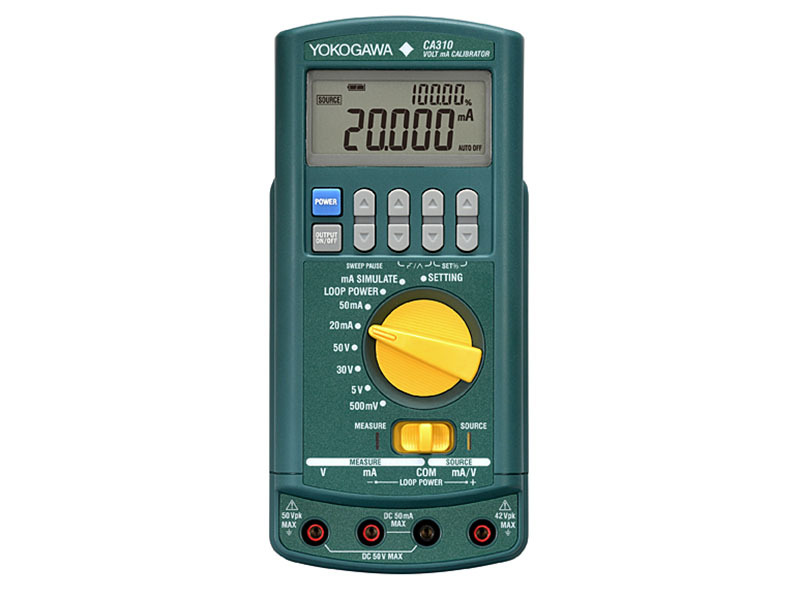 It achieves the high basic accuracy of 0.3°C (typical of type PT100), twice better than the previous model which enables it to operate a high reliable test. 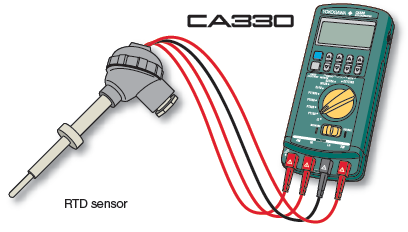 CA330 can measure the output of RTD like a thermometer. It achieves the basic accuracy of 0.3°C (typical of type PT100), twice better than the previous model and is for multiple use of process temperature measuring by corresponding to 14 types of RTD. For protection of the main unit. Used to hang the main unit on wall with rubber boot. 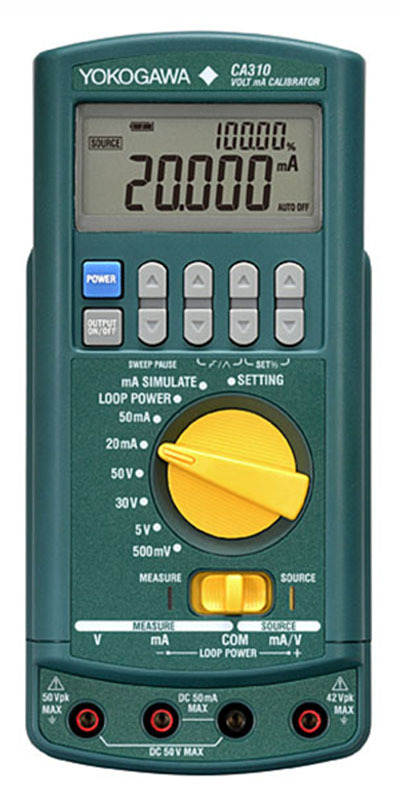 Used for terminating (attaching) a single wire or test lead. 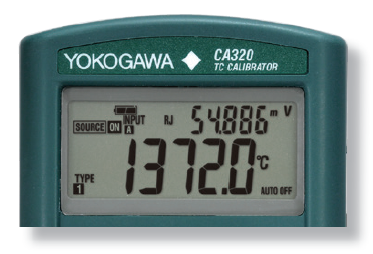 This carrying case is to be used with the CA300 series volt calibrators and lead cables.